Cathleen T. Blanchard is the Managing Partner and Funeral Director for Moore-Blanchard Funerals & Cremations in Brevard, North Carolina. She has a daughter, son-in-law and two lovely grandchildren. Cathleen has been affiliated with Moore Funeral Home since 2005. In this capacity, Ms. Blanchard leads and manages part-time employees serving a population of fifty thousand residents in the local and surrounding counties. She is a 1987 graduate of Gupton-Jones College of Mortuary Science in Atlanta, Georgia. Graduating in a class of only 24% women students, she was a groundbreaker for women in the industry in Western North Carolina. Her internship in Charleston, SC introduced her to the latest embalming and cremation techniques and she brought her talents to North Carolina. She has shown tremendous initiative and consistent high quality in her professional endeavors. She helped bring a pet initiative consisting of a pet cemetery and pet cremations, along with green burial options, to Western North Carolina. Cathleen has served at District Director, Secretary-Treasurer, and Past President for the North Carolina Funeral Directors Association. Cathleen serves on the Transylvania County Hospital Foundation Board of Trustees, and is the president of the Brevard Rotary for 2016 and 2017. It is her goal to always serve her families with the utmost integrity and dignity. 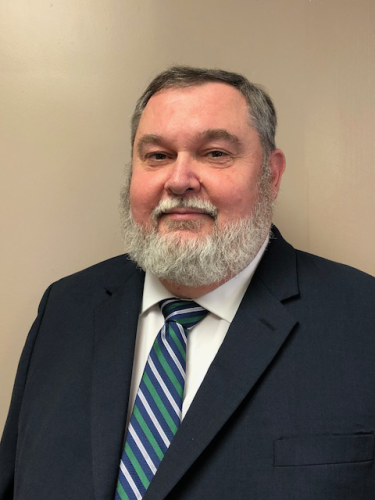 Paul Smith has served in the funeral service industry in North Carolina and Alabama. Born in Griffin, Georgia, he received his Bachelor of Arts in Music from Mercer University in Macon, Georgia. Paul received training both as a vocalist, and pianist while at Mercer University. He received his diploma in Funeral Directing from Fayetteville Technical Community College in Fayetteville, NC. Paul and his wife, Sherry, have been married for thirty-seven years and have two daughters, Amanda (husband Matt Norris), of Cullman, Alabama, and Danielle (husband J.B. Cuevas) of Brevard. Paul has also been blessed with two grandchildren Stella Kate Cuevas, and Waverly Norris. As ordained minister, Paul also serves as a deacon, and teaches the Adult 2 Sunday school class at First Baptist Church in Brevard. Paul is the Manager of A Simple Cremation crematory in Candler, North Carolina. He lives in Brevard with his wife Candy. He and Candy have 4 sons and a daughter combined, and three beautiful granddaughters. Paul is originally from southwestern Pennsylvania and graduated from high school in 1978. Upon graduation, he spent 20 years in the US Navy and retired in 1998 as a Senior Chief Petty Officer (E-8). He then started a career as a Camp Ranger for the Girl Scouts and recently retired in May 2018 after 20 years of service. Paul has been working part-time in the funeral service profession and recently started a full-time career in June 2018. He is enrolled as a full-time student at Piedmont Technical College in Greenwood, South Carolina and working towards his Associates Degree in Funeral Services. He is also enrolled in the apprenticeship program through the North Carolina Funeral Services Board. Paul is active in the local community and serves as the President of the Rotary Club of Brevard, Youth Protection Officer for Rotary District 7670, serves on the Advisory Council for the Transylvania County Salvation Army and the Back Pack Buddy Advisory Committee for Transylvania County, a member of VFW Post 9308 and American Legion Post 88 in Brevard. He is a lifetime member of the Girl Scouts and is a certified archery facilitator. Paul enjoys spending time with his family and being outdoors camping, fishing and hunting. Doris moved to Brevard in 1974 from Homestead, Florida with her husband, and youngest daughter. Doris has three daughters and one granddaughter. She is a member of Glady Branch Baptist Church, and enjoys gardening and baking. James Hackler has been a part of the Brevard community for over 38 years. He is a member of Bethel Baptist Church. He is retired from Transylvania County Schools. He is a past member of the board of directors of the Sharing House and past president of the Human Relations Council for the City of Brevard. He is the current President of the Brevard Lion's Club. James was married to the late Peggy Wynn Hackler. He has six children, fifteen grandchildren and 3 great grandchildren. James has a kind and compassionate heart for grieving families. Ron Nelson and his wife Lucy have been part of the Brevard community for the past 22 years. Ron pastors Blantyre Baptist Church and is the manager of Blue Ridge Gardens of Memory, formerly Pisgah Gardens. Ron is the father of four daughters and grandfather of ten, Ron looks at the funeral industry as an extension of his ministry, to be a help and comfort to families in the most difficult time in their lives. Lori retired to Brevard from Orlando, Florida in 2010 with her husband of thirteen years, Howard Thiele. Lori brings with her a strong customer service and administrative background and excels in providing a caring and knowledgeable resource for our families. Lori has one daughter, Jodie Gillon, who lives in Raleigh with her husband, Brandon and two children, Alex Moss and Kinsley Gillon. In her spare time, Lori enjoys gardening, sewing, and cooking. Howard retired to Brevard from Orlando, Florida in 2010 with his wife of thirteen years, Lori Swank. Howard proudly served our country in the Army for 24 years and continues his contribution as Commander of the Transylvania County Honor Guard. He extends this caring to all our veterans and their families as he does with all loved ones who enter our doors. Howard has three children, ten grandchildren, and five great-grandchildren. His hobbies include gun smithing and tinkering in his workshop. Buck lives in the Cedar Mountain Community of Transylvania County, having moved there from Raleigh, NC in 2007 with his wife of 19 years, Kathy. Together they have three daughters and seven grandchi8ldren. Buck served in the United States Navy for four years. He then joi8ned Southern Railway which became Norfolk Southern Railroad working for 33years until his retirement as an Operations Manager. Buck is an active member of Brevard First Baptist Church, where he serves on several committees. He enjoys wood working and camping. He and his wife volunteer as campground hosts for the National Park Service in the Great Smoky Mountain National Park.